I can't believe we already have one week of August under our belts. I was sitting in a work meeting the other day and we were going through upcoming dates and events and I was just in disbelief as to how fast everything seems to be approaching. Someone brought up an event going on next week and I thought for the life of me it was still another week away, yeah not so much. So even though life appears to be flying by me at a rate faster than I can manage, here are a few moments I did manage to remember from this past week. 1| Last Sunday I got to help one of our students put on her first fundraiser event, Disco for Diabetes Dance A Thon. Not only has it been really cool to see how she has transformed her life through dancing, but then to be able to help her with her desire to share and impact others is so rewarding. 2| I finally had a chance on Monday to partake in some retail therapy for myself. For once I feel like I haven't been shopping for me in forever. I had some good finds, since the stores are starting to roll in their fall stuff I was able to score some good end of summer deals. 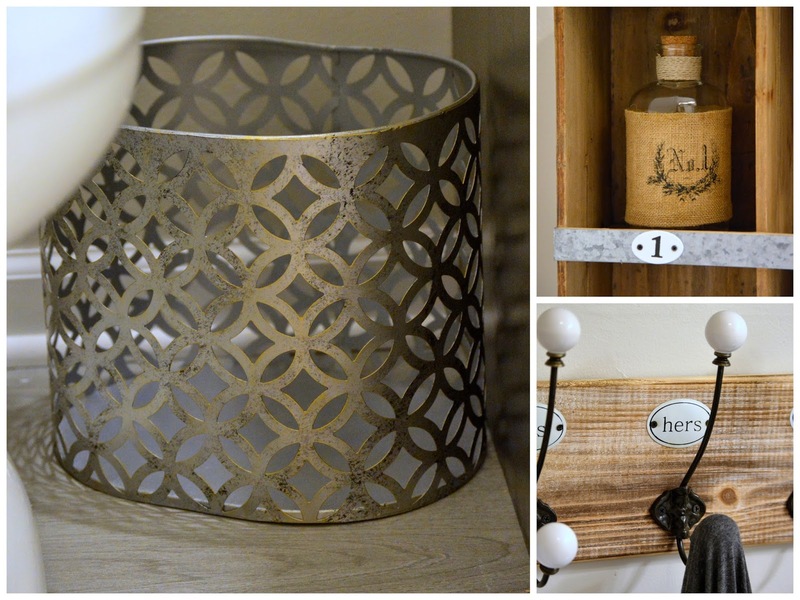 3| I was so excited to share my bathroom reveal this week! I am so happy I can call it done, and get my house picked up and put back together again- no more tools sitting out in the hallway! 4| I can't believe I just discovered this stuff. I love most things lemon, especially lemon bars, they are so yummy. Since going gluten free a year ago I haven't had any lemon bars, I know I could make them, I just haven't. 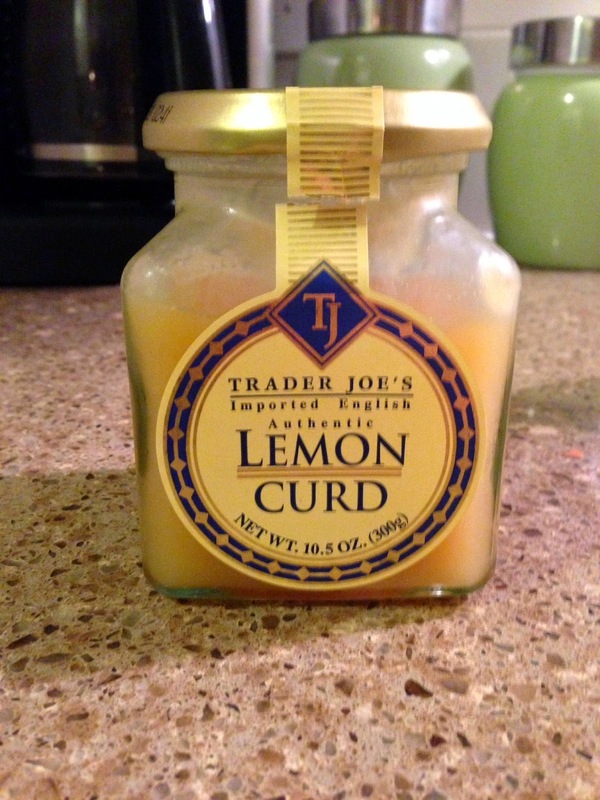 But then I found Trader Joe's Lemon Curd and it tastes just like eating lemon bars. I seriously just sat there dipping my gluten free pretzels into it and it was too good! I had to use some serious self control to put it down when I did. 5| I am finally getting to the place where I feel like I crave water. It has always been so hard for me to drink what your "supposed" to drink, but I feel like I am finally feeling the benefits and also feeling when I haven't had enough and need more. I do have to make a better point when I'm not in my daily routine to make sure I have water readily available to me. I forgot my water bottle on Wednesday and didn't think much of it until the end of the day and I felt completely drained and thirsty. I am so looking forward to a relaxing weekend. For once there isn't anything on the agenda. I'm excited to get my house put back together now that the bathroom renovation is complete, you know before we start the next big thing! Happy weekend! I will have to try that Lemon Curd! Retail therapy is always the best :) glad you found some things! End of summer sales are fabulous because they usually start when it's still so hot that you can definitely get some great use out of your purchases! I think I need to partake in a little shopping! :) And I really need to work on my water intake! It is the best! I use it as my shopping justification too often! Hope you find some good things. It is really so hard with the water, I don't know why! Thanks Shenine for stopping by! Summer is truly going too fast! Glad to hear you liked my bathroom, I'm so glad it's finally finished! It looks like you had an awesome week last week. I hope you'll be sharing some of your retail therapy finds! :) Happy Sunday! The water thing is huge! I was completely addicted to soda and never, ever drank water. When I made the switch--it was hard at first but then like you I started to be able to detect how much water I'd had by how I was feeling. Now my goto when I feel back is to drink more water--that usually helps! I definitely have to keep a water bottle readily available at all times though otherwise I'll completely miss my mark! Isn't is amazing that feeling better can just lie in drinking more water! I'm with you though, if I don't have it with me, I won't be drinking it. Thanks for stopping by!